This year we had a wonderful SIOP meeting in Washington, USA, where we met many friends and and had high quality science, shared our knowledge and research. The meeting started with an educational day on Supportive Care, a joint meeting of the SIOP Supportive Care WG and SIOP Nurses Committee on day -1. The topics included were “Pain management in children with cancer , Chemotherapy induced Nausea and vomiting, Fatigue, Adherence to Chemotherapy Regimens, Pediatric early warning score scale PEWS. We had eight moderators and eight speakers. The meeting was very well attended, there were good multidisciplinary interactive discussions, and good feedback. 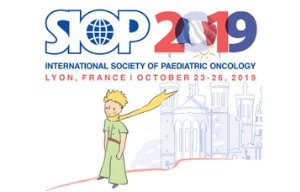 Also on day-1, within the PODC educational day, there was a session on Supportive Care, organized jointly by the SIOP Supportive Care and SIOP-PODC Supportive Care Working Groups. The topics included were: febrile neutropenia-risk stratification; challenges in treating febrile neutrpenia in resource limited settings; nutritional interventions in severely malnourished cancer patients in resource limited settings. On days 1 and 2, there were two free paper session with topics on Supportive Care and Palliative Care, all well attended, with interactive discussions. There were also e-posters on supportive care. A Supportive Care WG business meeting was held at the end of the meting. The supportive care activities within the SIOP 2017 were evaluated, plans regarding the coming congress were made. Plans to have good interaction with other WGs and committes were discussed. Members of the SIOP Supportive Care WG are collaborating with SIOP-PODC Supportive Care WG, other working groups and committees within SIOP and other international Supportive Care Groups. Collaboration with MASCC (Multinational Association of Supportive Care in Cancer) is continuing. Marianne van de Wetering, is the chair of MASCC- Pediatric Supportive Care working group. 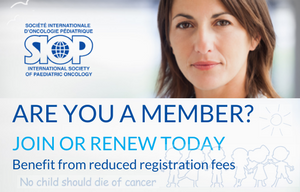 The International Pediatric Oncology Guideline (IPOG) network has been active in setting up an international network on the progress of guideline development. Many members of the supportive care working group are involved worldwide in guideline development. The next congress of SIOP will be in Kyoto, Japan, November 16-19, 2018. So book the date and make sure you watch the deadline for the abstracts. We are very pleased with the updated website of SIOP, where we can post minutes and interesting items, so please check the website. We hope you have a merry Christmas, happy Holidays, happy Hannukah, and a happy New Year 2018. May the New year be full of joy , happiness, good health and success.